To get a quote for Tiled Roof Options or to take advantage of our free design service, get in contact below and get the ball rolling. 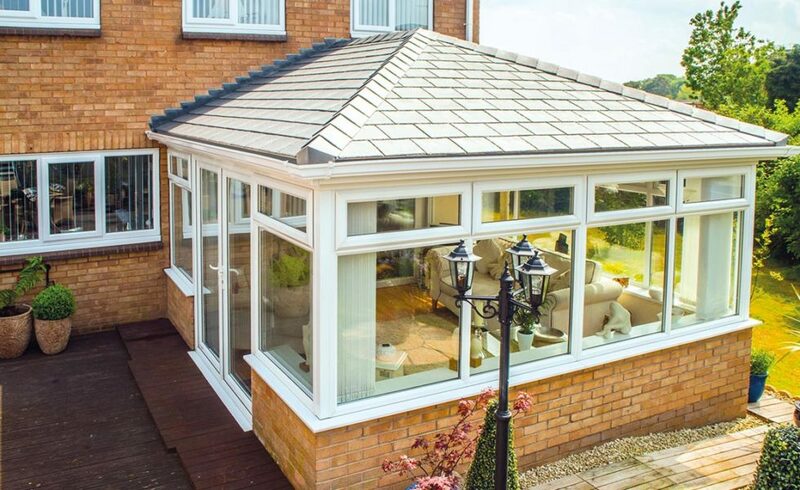 Whether you’re considering an Evaroof as part of an upgrade to your home’s existing conservatory/orangery or as part of an entirely new home extension, we can apply our services to your property’s extra living space and form the system in Victorian, Edwardian, and Gable End roof options. In any style, the extension will be able to enjoy exceedingly low U-values of just 0.18 with a beautiful tile or slate colour palette of your choosing. Because Evaroofs are incredibly lightweight by design, homeowners can rest easy knowing that our team will be able to install or retro-fit the tiled roof of any shape within a relatively short period with very little disturbance. This means you’ll be able to spend more time enjoying the impressive style and efficiency, and less time wondering when you’ll be able to enjoy the renovated environment. 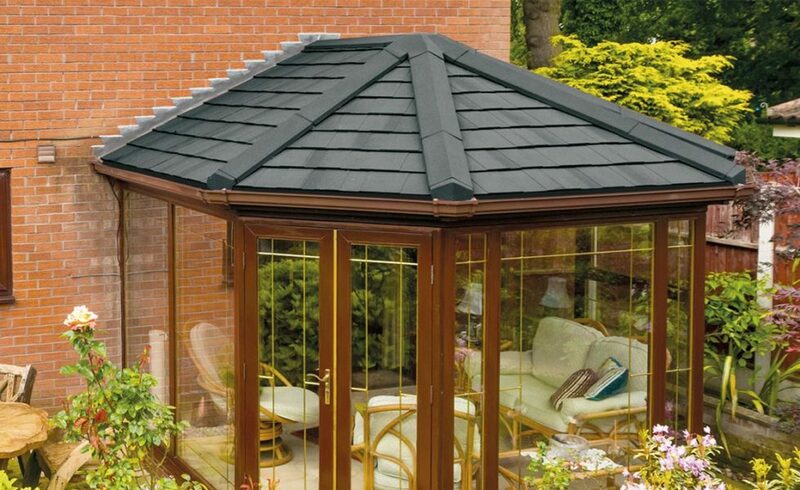 One of the UK’s most popular and reliable conservatory roof styles, Victorian designs are ideal for homeowners wanting to make the most of a classic and elegant style – now with 21st century insulation and efficiency thanks to the Evaroof. Typically making use of a bay front along with a steeply pitched roof, a tiled Evaroof can sit nicely on top. If you’re someone craving the simple and classic lines an Edwardian conservatory can introduce, rest easy knowing that the Evaroof in either premium, eco, or orangery variants can help to compliment this classic style. Making effective use of a rectangular symmetrical shape, the addition of an Evaroof can help add more definition thanks to the bold tiles or slates. 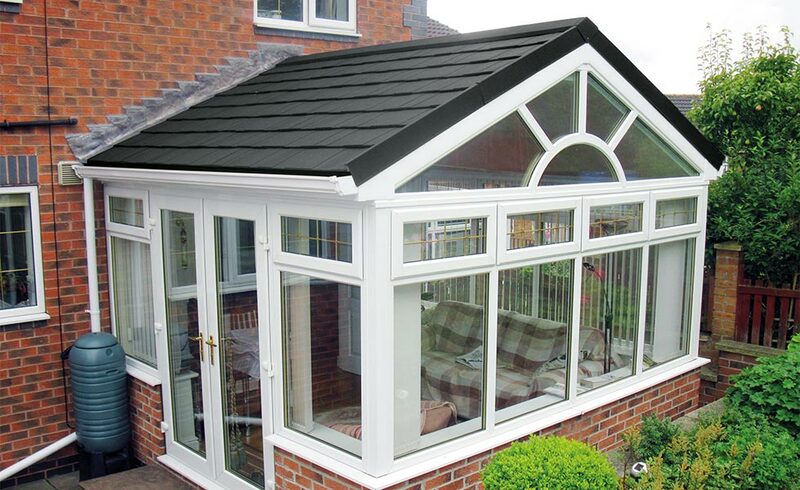 A gable style roof has the exciting potential to maximise the amount of both space and light available internally, even when compared to conventional conservatory styles. Introducing a grand and impressive look to the home largely thanks to the arched front-end design, why not continue this sentiment with the use of a solid tile Evaroof – it’ll be made to measure specifically for your extended space.